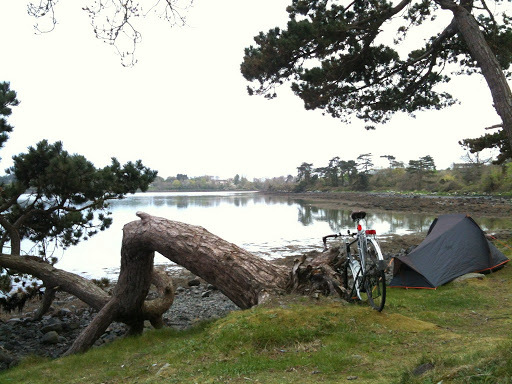 Camping with a friend down at Reagh Island, on Strangford Lough. 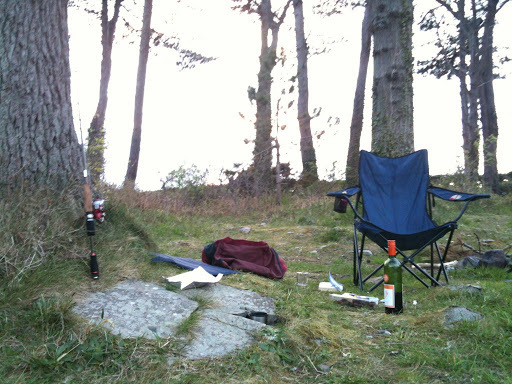 I went ahead in the van and cooked dinner and relaxed until he arrived by bike with his tent. Still waters, an amazingly peaceful place. We planned to do a but of fishing but its not such a good place - lots of seaweed to snag on. 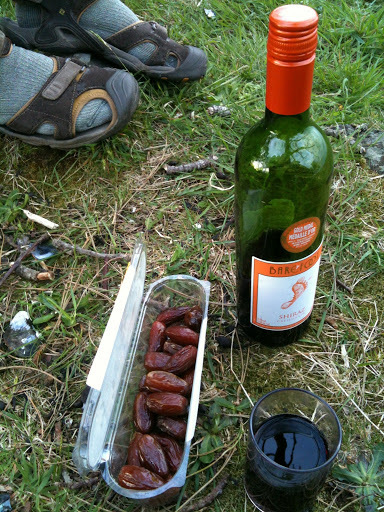 So relaxing with a bottle of wine was in order. 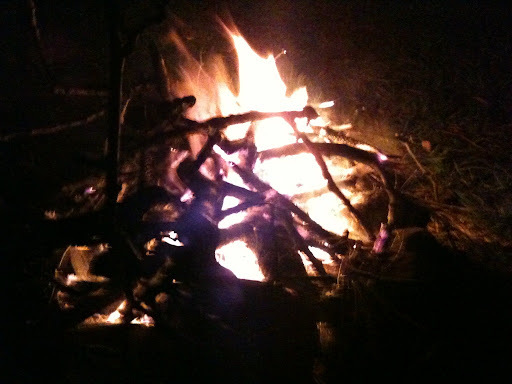 We got a pretty good camp fire going at dusk. The machete made short work of the fallen scots pine branches. A great nights sleep too.